I found out about this race from flyers being passed out at another race. It was more like a brochure and it told the story of a young man who had a lot going for himself when suddenly he became ill. His name was Johnny and he was diagnosed with Lymphoma at the age of 24. After a long and hard battle he passed away the day after Christmas at the age of 26. The story behind this memorial race was moving enough to add onto my race schedule. 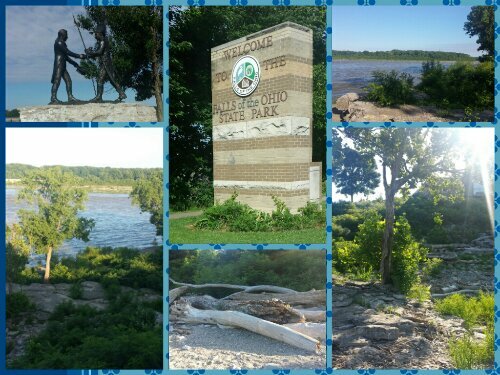 The added benefit was the location being at one of my favorite “woosah” spots, The Falls of the Ohio State Park. It’s the closest I can get to the Detroit/Windsor ambiance. The park was also the backdrop for a Trash the Dress Photo shoot I did back in 2009 for Panache Louisville Photography. It was relaxing to arrive at a race 30 minutes before the start and be amongst a small and friendly group. Johnny’s family members were present and helping out with last minute registrations and packet pick ups. I was able to speak with a lady named Lynn who often places in the top 3 overall at the local races. She is 52 and one of the fastest women in the area. I also ran into Rhonda who I first met at the Polar Bear Grand Prix. She had her 3yr old daughter decked out in running gear. So cute! The race started with beautiful, clear skies. 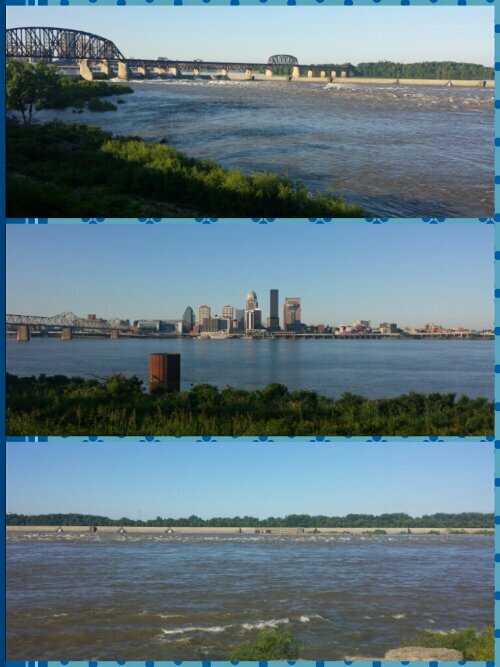 It was a little warm for my taste, especially trying to PR, however, running along the river was a nice experience. After the race there were tons of door prizes being given out for $25 gift cards to various restaurants. One lucky guy won the grand prize of a flat screen tv. Another gentleman won a gift basket for finding the stuffed cat along the route. 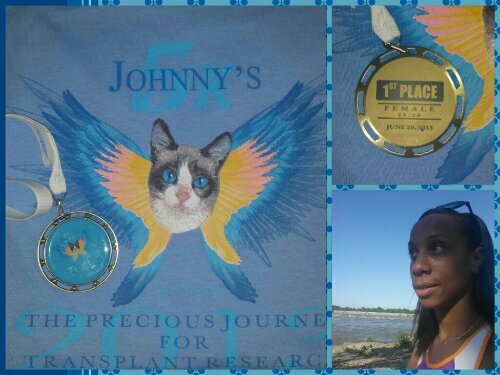 Johnny’s cat is being taken care of by his family and is featured on the race logo every year. ★1st place 30-39 age group. That seemed slow considering my 1st mile split was 6:28. I’ve ran sub 22:00 practice runs in the last week so no telling what happened. So disappointed at that time. Next year’s race will be moved from June to October. I plan to run this again. They have raised over $20,000 for cancer research at IUPUI. 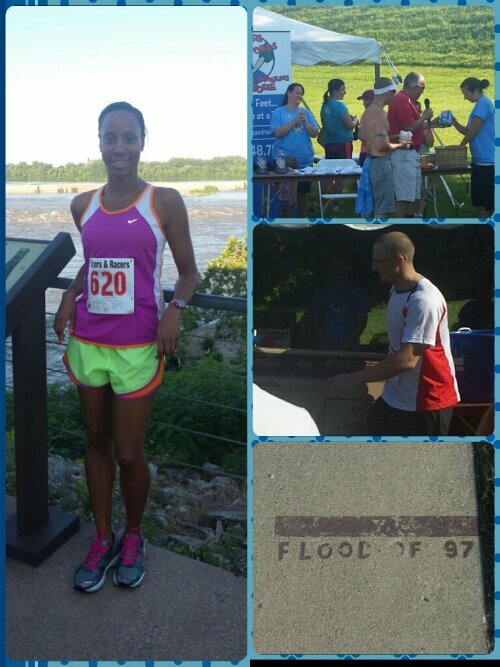 This entry was posted in Uncategorized and tagged Indiana, Louisville, Running. Bookmark the permalink. 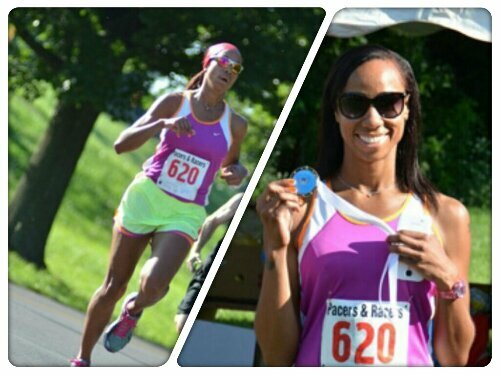 I had run the Indianapolis Women’s Half Marathon last year. Awful. Not the race itself…the conditions it was run under. We were red flagged from the start due to 90% humidity. I never felt so miserable at the end of a race. It was also my first race back from my torn plantar fascia. I probably would have given it a go again this year…but my friend and I are doing Disney together. I’m not allowed to PR this one though. Eye on the prize. That’s the marathon. You should never be disappointed with a run. Always look at the positive side. I think everyone I knew ran this yesterday. I didn’t. LOL! And you placed first in your division, you should not be disappointed with that either. Every run doesn’t have to be a PR, my friend. Enjoy the moment and the race while you are in it. You’ll find when you start having fun with it, you start running better. I’m surprised I didn’t see you there! I guess I will back off trying to PR a 5k and focus on that 26.2. Just finished 7.37 group run and feeling like a million bucks! Are you doing a half for a training run? I’m doing the Indy women’s.